The Ketogenic Diet has been around for awhile but it seems as if in the past two years this diet has increased in popularity. What is a Ketogenic diet? Ketogenic diet is a diet very low in sugars and high in fats. The body runs primarily on two types of fuels, sugar and fat. In a ketogenic diet your body will be running on fats. So before we go in further into the ketogenic diet, I always recommend eating a well balanced diet with nutrient dense foods. That said I am not against any diet in particular but I am against dieting long term after goals achieved. Most diets can be used for a period of time with healthy results but long term benefits are most sustainable with a well rounded health colorful diet. In a ketogenic diet foods like olive oil, butter, meat, fish, eggs and cheese are championed, vegetables are okay while any source of carbs or sugars are to be avoided. What happens is it is hard to get the body to run on fats. When the body switches from sugars to fats there is an internally struggle on the fuel switch and introduction of any sugars after the body is running solely on fats will cause the body to switch back to sugars as its fuel source since the body will always want to use its sugar source up first. 1.) Loss of weight and slimmer waist line. Lots of ketogenic diets report more body definition after sustaining the diet successfullly. 2.) Reduction of inflammation. Keto diet users have reported less joint pain, reduction in symptoms with stomach and head issues. 3.) Side effects. When switching fuel sources you may experience headaches, fatigue, dizziness, brain fog, and some nausea. If you are breast feeding, diabetic or have high blood pressure it is not advised to use this diet. 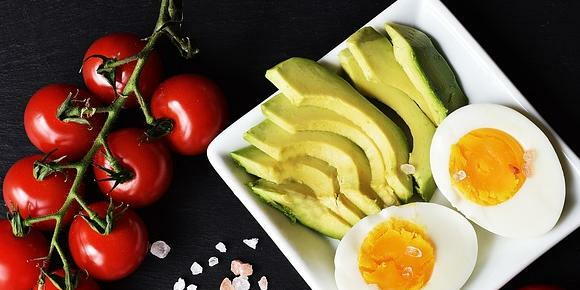 If you fall into one of these three categories and would really like to try a ketogenic diet, I would advised to consult with your primary care physician and nutritionist to see how they can make this diet work for you.